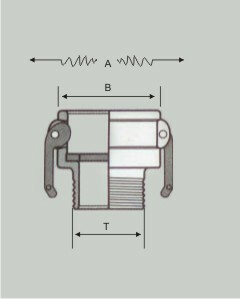 Male Coupler – B is also known as Female Coupler with Male threads. On the one side these Couplers are having two levers on its sides to easily Lock or Unlock the Adopter or Plug. 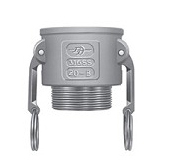 These type of Couplers are manufactured with End threading in BSP (M), BSPT (M), NPT (M) threads or can also be manufactured in welding type fittings. All Above Mention Dimensions are in MM & it may change due to Ongoing Developments.